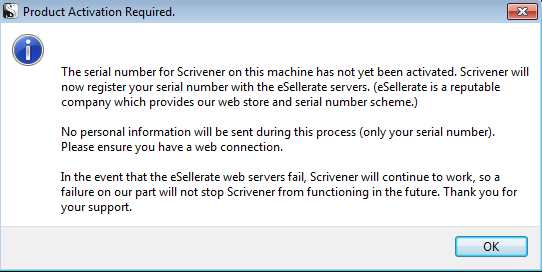 If you are having difficulties registering and activating Scrivener for Windows, the following directions will walk you through the process of offline activation, which will work around certain server errors encountered when trying to activate from behind a firewall or proxy setup. Before going through these steps, ensure that you are running Scrivener 1.0.3 or later by viewing Help > About Scrivener. If you are on an earlier version of 1.0, please first run Help > Check for Updates, as versions prior to 1.0.3 do not have offline activation enabled. To begin, first disconnect your computer from the internet, then launch Scrivener. If you have already validated your registration information, launching Scrivener should take you directly to the activation notice, so skip to step 4. 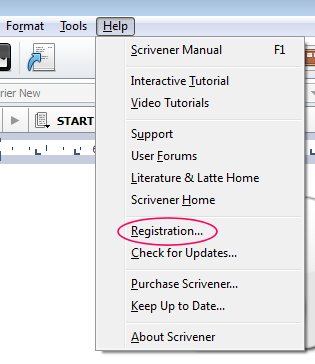 If necessary, select Help > Registration… to enter your license information from the receipt e-mailed to you when you purchased Scrivener. You can also choose "Enter Licence" from the trial window. When you select "Registration…" or "Enter Licence", you will be presented with a window to enter your Serial Number Name and Serial Number. The best method to enter these is to copy them directly from your receipt and paste into the text fields, ensuring there is no extra white space. Click "Register" to validate your user name and number and then "OK" to dismiss the successful validation message. 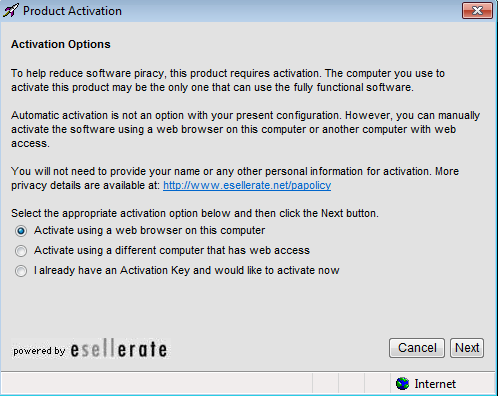 A notice will appear explaining that eSellerate (our reputable third-party seller) needs to activate. Activation requires an internet connection, but if you attempt to activate without an internet connection you will have the option of offline activation. After ensuring that your internet is disabled, click "OK". Choose "Cancel". A new window will pop up offering options for offline activation. Reconnect your computer to the internet. Leaving "Activate using a web browser on this computer" selected, click "Next". 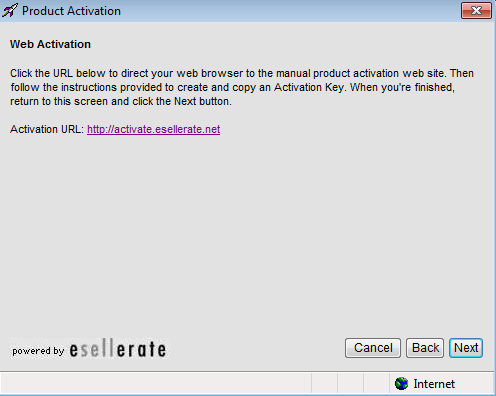 You will be presented with a link to generate an activation key from the product activation web site. Click this link to open the web page in Internet Explorer. The Installation ID should already be filled in for you. Select the code in the text box and copy it. You can choose to send the code to your email as well if you like. 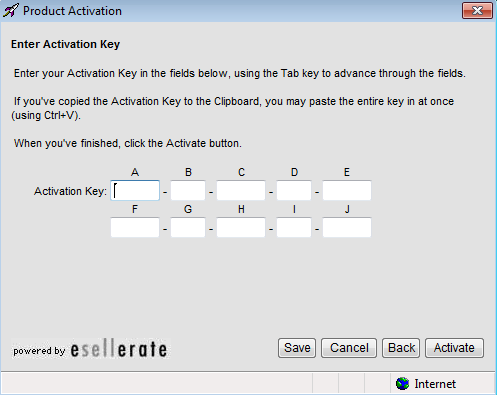 Then switch back to the Scrivener activation window, which should present you with the manual product activation panel. 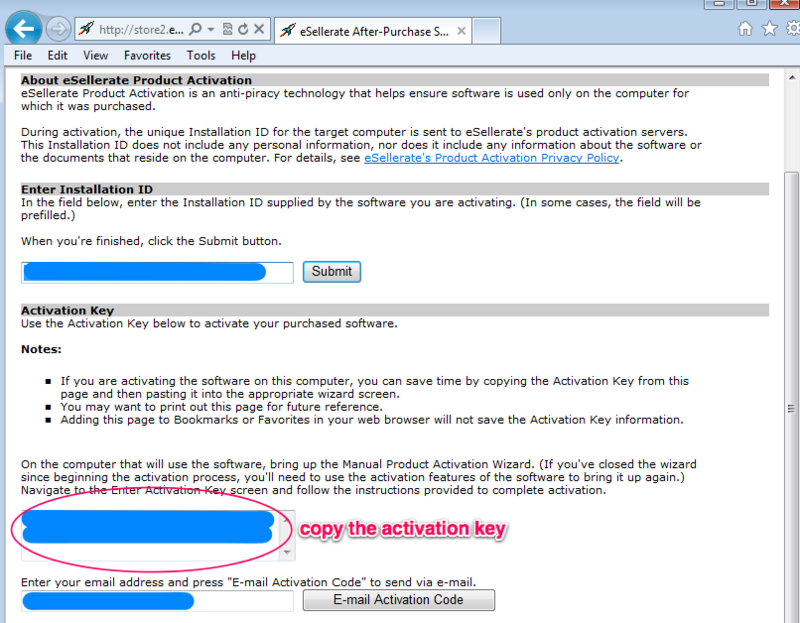 Click into the first box and then paste the copied code and choose "Activate". 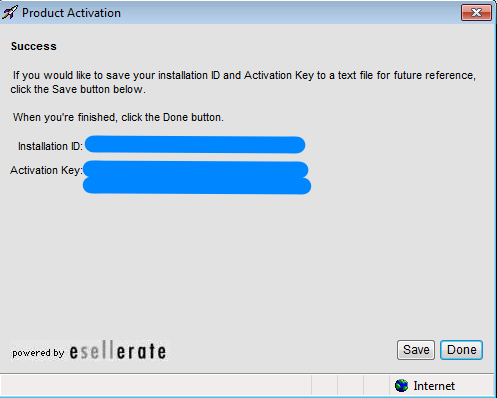 After a successful activation, you'll again have the opportunity of saving your installation ID and activation key if you wish. 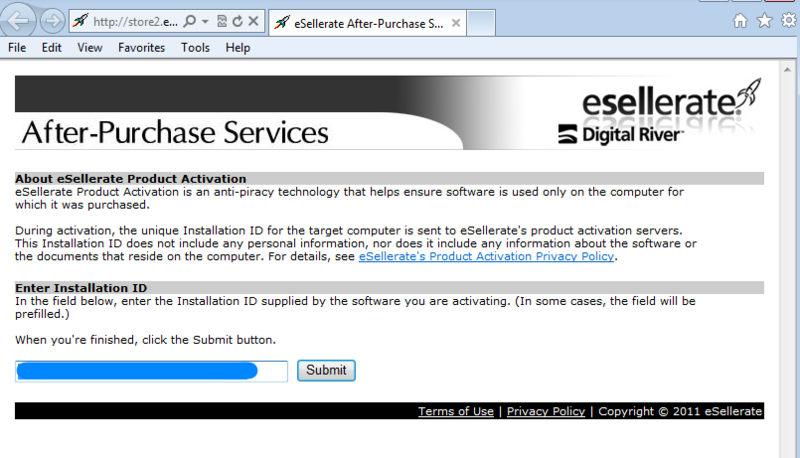 Click "Done" to complete the activation. Note: If you have installed Scrivener as an administrator, it will be necessary to run the check for updates as an administrator as well. To do this, close Scrivener, then right-click the application and choose "Run as Administrator" and enter the admin password. After you have installed the updates, you can relaunch the program in the standard fashion.